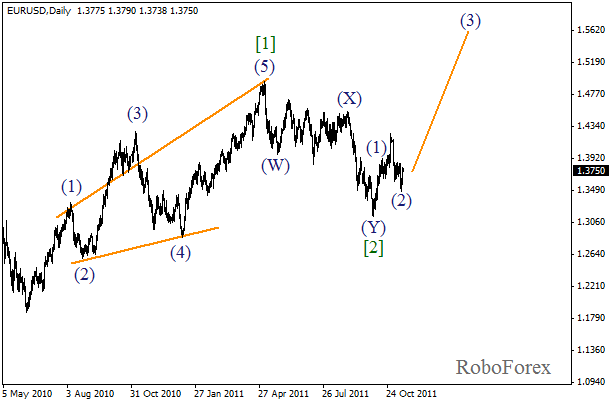 Looking at the daily chart of the pair, we may assume that the price has started the formation of a rising impulse in wave (C) of . At the moment the market is under correction. There is a possibility that this local descending movement may continue during the next several days, but then we can expect the price to start moving upwards and reach a new maximum. 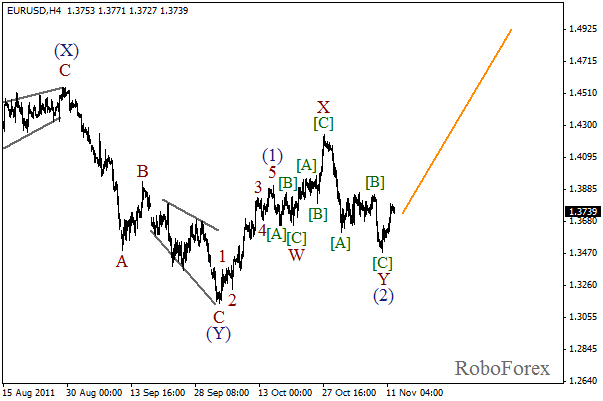 At the H4 chart the price had completed the formation of a rising wedge pattern in wave 1, and then the correction started. The price may continue falling down while forming the second wave. After the correction is finished, we should for an initial rising impulse in order to enter the longs. The rapid price movement, which took place last Friday, lets us suppose that the correction might have been finished. Probably, the price formed a rising impulse, and the second wave took the form of an irregular pattern. 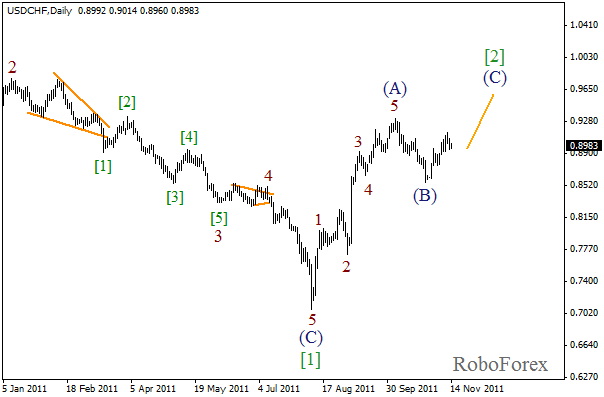 In this case the price may start growing while forming wave (3) during this week. Even if this movement turns out to be a correction, the bulls may reach the level of 1.4400. It will be enough for a short-term trade. 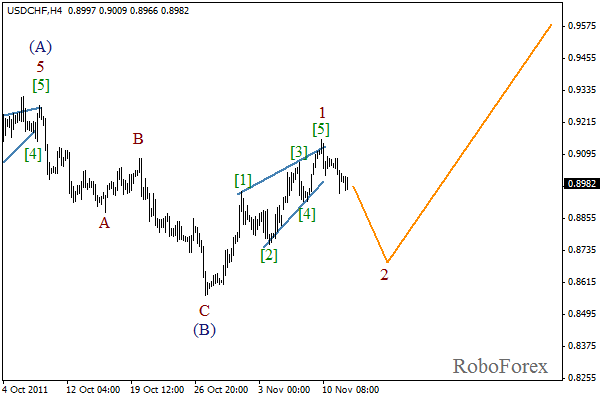 As we can see on the H4 chart, the chart structure is bullish and it looks like the second wave has been completed in the form of double three pattern. If our assumption is correct, the price may start growing again during the day. There is a possibility that the market may reach a new local maximum within the next several days.